PRICED TO SELL. AFFORDABLE POCKET HOME IN MOVE-IN CONDITION ON CORNER LOT WITH PRIVACY and LOW UTILITIES: This beautiful 2 bedroom, 1 bath corner lot home has plenty of charm and would be a great place to call home! Centrally located on a low traffic street in Port Charlotte with easy access to I-75, shopping, dining, golf courses, beaches, the Medical District, McGuire Park, the Cultural Center and much more!! This low maintenance home is in move-in condition, and features ceramic tile throughout most living areas and updated PGT windows. Two large Florida rooms are a bonus and add extra living space (included in total area size). The kitchen features solid wood cabinets, a granite counter-top and a Culligan water filtration system under the kitchen sink. The bathroom has a new custom vanity. Many other upgrades including ceiling fans in most rooms, a privacy lattice fence and an upgraded water heater. Three storage sheds with power provide extra storage and can serve as a garage (10 x 16), a workshop (10 x 11.5) and utility shed (6 x 8) for storing lawn equipment/tools. County water, sewer, sidewalks and is NOT in a flood zone. 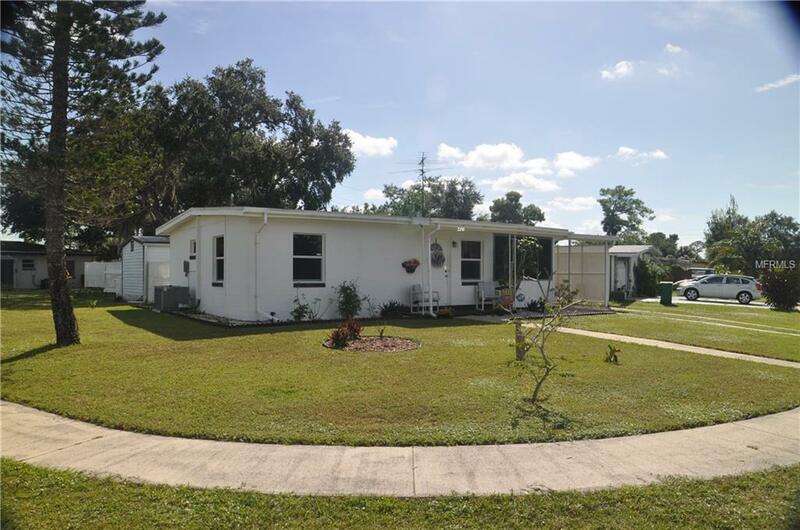 A wonderful opportunity for snowbirds, investors or anyone looking for a beautifully maintained home with great value. Call for appointment NOW!!! Bring offers. Ask about our preferred lender. It may be cheaper to own than rent.